This article concerns the study of a protictithere from the late Miocene of Axios Valley (Macedonia, Greece). The material was found in the hominoid-bearing mammal locality Ravin de la Pluie (RPl), which is corellated with the late Vallesian, MN 10. The available material, including maxillary and mandibular elements, is described and compared morphologically and metrically with the known Eurasian protictitheres. The small size, the low cusps(-ids) of the teeth, the protocone of the P4, which is in line with the mesial border of the parastyle, the large molars (especially the M2), the small buccal projection of the M1 paracone, the strongly molarized p4, the strong metaconid and large talonid with high entoconid of the m1 separate the RPl protictithere from the known Eurasian protictitheres and allow the erection of a new species, named P. thessalonikensis n. sp. Der vorliegende Artikel bezieht sich auf die Studie eines Protictitheres aus dem oberen Miozän Axios-Tal (Mazedonien, Griechenland). Das Material wurde in der Gegend Ravin de la Pluie (RPL) gefunden, in der hominoide Säugetiere vorkamen, und die mit dem oberen Vallesium, MN 10, entspricht. 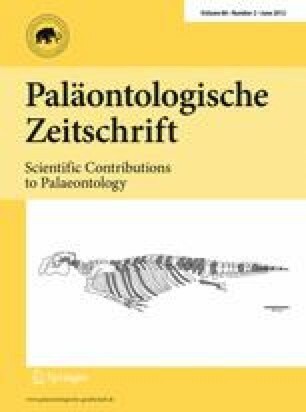 Das zur Verfügung stehende Material, einschließlich Überbleibseln von Ober- und Unterkiefern, wird morphologisch und metrisch mit dem bekannten eurasischen Protictitheres beschrieben und verglichen. Die geringe Größe, die niedrigen Höcker in den Zähnen, das auf der gleichen Linie mit dem Vorderrand der Parastyle befindliche Protocon des P4, die großen Backenzähne (vor allem die M2), die kleine bukkale Projektion der Paracone in der M1, die stark molarisierten p4, das starke Metaconid und das große Talonid mit hohem Entoconid im M1, unterscheiden die RPL Protictithere von den beiden wichtigsten eurasischen Taxa P. gaillardi und P. crassum und erlauben die Errichtung einer neuen Spezies namens Protictitherium thessalonikensis n. sp. Many thanks to several colleagues and students who have excavated with me in the Axios Valley since 1976. Thanks are also due to Dr. G. Rössner (BSPM), Dr. P. Tassy (MNHN) and Dr. C. Argot (MNHN) for giving me access to the material at their disposal and for their help during my visit to their institutes. I thank Drs. G. Merceron, and D. Berthet for providing me with casts, and Dr. D. Kostopoulos for the photos of the type material of P. gaillardi. I also thank Dr. K. Vasileiadou for the linguistic improvement of the text. Many thanks to Drs. A. Turner and L. Werdelin for reviewing the manuscripts and making useful comments. NOW 2011. Neogene Old World (database with the Neogene localities and their faunal lists). www.helsinki.fi/science/now/database.htm.